Excellent O-Zone Resistance! 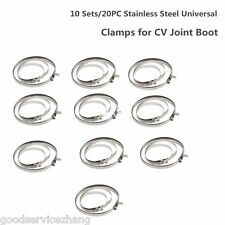 Eliminates cracking; a leading cause for failure of CV boots. ABS on Axle: NO. Our Products are manufactured in ISO 9000 / 9001 / 9002 certified facilities. Made In The USA. [[Stock #]] M1307-AE0 GM ALL USED PARTS WILL HAVE NORMAL WEAR AND TEAR. 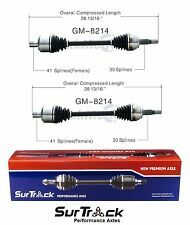 High Quality OE Replacement CV Axle Shaft Assembly Set! Manufactured by Fenco, part number BU5552. If your vehicle was not originally equipped with the EXACT part(s) listed, it is your responsibility to consult a dealer to see if it will fit your application. "Yukon Gear & Axle Axle Assembly --. Quantity sold : Kit. Notes : This Kit Contains Both Left and Right Hand Axles; Does Not Include Bearings or Studs. Under NO circumstances will our liability exceed the amount of the original sale. 1997-04 CHEVROLET CORVETTE Rear. Hub Bearing Assembly. Modifing an item in any way will void the warranty. Warranty Policy. Right side rear axle shaft removed from a 2011 Corvette Grand Sport equipped with a 6.2L LS3 engine, an automatic transmission and sport ride suspension (FE3). Item is an OEM used part in good condition and is covered by our 30 day parts exchange guarantee. Notes: OEM used part Good condition RH rear axle shaft 2009-2013 Corvette Part# 25836304 Shipping will run $22 to anywhere in the lower 48 states only. No bids outside this area, please. Some disassembly may be required for shipping. Auto Works Inc. Madison, WI Stock: 3969. 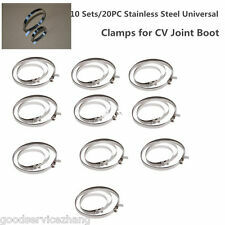 CV Joints are assembled with a specially formulated high temperature Moly grease to resist friction and wear. New premium grade neoprene boots are used to resist abrasion and temperature erosion. Splines are machined to match OE Specifications. Nice straight low mileage used rear axle shaft for 97-04 Corvette. Fits right or left. No rips or tears, these are removed from car with under 50k. Thanks for looking. [[Stock #]] M6667-AE0 GM ALL USED PARTS WILL HAVE NORMAL WEAR AND TEAR. It will fit the following makes and models New Cage Race and CV Balls. New CV Boot. 100% Solid Precision Machined Axle Bars. Part must be new, uninstalled, in original box. you in error or showed up defective. 97-04 Chevrolet Corvette (1) Rear Right or Left 100% New CV Drive Axle Shaft New. 1997-2004 Chevrolet Corvette. One of the most common mistakes during installation is improper torque of the axle spindle nut. [[Stock #]] M1492-AE0 GM ALL USED PARTS WILL HAVE NORMAL WEAR AND TEAR. 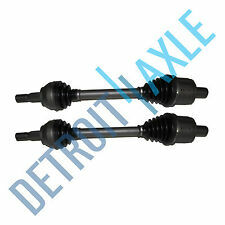 Axle shafts are commonly referred to as “CV axles” or “half-shafts.”. An axle shaft is a narrow, pole-like part that connects a wheel to the gears in the transmission. Axles are part of the system that enables the wheels to rotate. 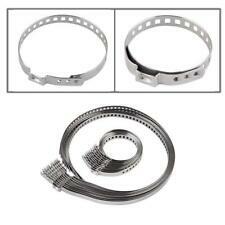 [[Stock #]] M6799-AE0 GM ALL USED PARTS WILL HAVE NORMAL WEAR AND TEAR. 05-13 Corvette C6 Base Axle Shaft CV Joint Aa6412 m [[Stock #]] M3481-AE0 GM ALL USED PARTS WILL HAVE NORMAL WEAR AND TEAR. 1986 Chevrolet Corvette 5.7L AT. Be sure for what you buy! - it is an electronic part in good condition. - don’t need it any more;. - wrong part ordered;. - doesn’t fit;. - changed you mind;. - warranty case. [[Stock #]] M6811-AE0 GM ALL USED PARTS WILL HAVE NORMAL WEAR AND TEAR. [[Stock #]] M6953-AE0 GM ALL USED PARTS WILL HAVE NORMAL WEAR AND TEAR. [[Stock #]] M2447-AE0 GM ALL USED PARTS WILL HAVE NORMAL WEAR AND TEAR. 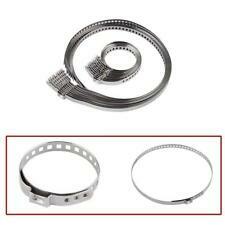 [[Stock #]] M6794-AE0 GM ALL USED PARTS WILL HAVE NORMAL WEAR AND TEAR. [[Stock #]] M1132-AD5 GM ALL USED PARTS WILL HAVE NORMAL WEAR AND TEAR. 1997-2004 Chevrolet Corvette. One of the most common mistakes during installation is improper torque of the axle spindle nut. Over torque of the axle spindle nut can cause the bearing and axle to overheat, which will dramatically reduce the life of your new axle & hub bearing assembly. 05-13 Corvette C6 Base Axle Shaft CV Joint Aa6408 aa [[Stock #]] M2933-AE0 GM ALL USED PARTS WILL HAVE NORMAL WEAR AND TEAR. 05-13 Corvette C6 Rear Axle Shaft Aa6426 [[Stock #]] M7517-AF5 GM ALL USED PARTS WILL HAVE NORMAL WEAR AND TEAR. 05-13 Corvette C6 Rear Axle Shaft Aa6426 m [[Stock #]] M7515-AE0 GM ALL USED PARTS WILL HAVE NORMAL WEAR AND TEAR. [[Stock #]] M1131-AD5 GM ALL USED PARTS WILL HAVE NORMAL WEAR AND TEAR. Hub assemblies are precision-machined to ensure OE fit and performance. Wheel bearings support the weight of your vehicle and are able to function properly due to their pre sealed and pre greased design. [[Stock #]] M0453-AE0 GM ALL USED PARTS WILL HAVE NORMAL WEAR AND TEAR. 97-04 Corvette C5 Rear Drive Axle Cv Joint Aa6423 [[Stock #]] M7316-AE0 GM ALL USED PARTS WILL HAVE NORMAL WEAR AND TEAR. [[Stock #]] M6680-AE0 GM ALL USED PARTS WILL HAVE NORMAL WEAR AND TEAR. 97-04 Corvette C5 Rear Drive Axle Cv Joint Aa6406 [[Stock #]] M3628-AE0 GM ALL USED PARTS WILL HAVE NORMAL WEAR AND TEAR. One of the most common mistakes during installation is improper torque of the axle spindle nut. Over torque of the axle spindle nut can cause the bearing and axle to overheat, which will dramatically reduce the life of your new axle & hub bearing assembly. 97-04 Corvette C5 Rear Drive Axle Cv Joint Aa6423 m [[Stock #]] M7315-AE0 GM ALL USED PARTS WILL HAVE NORMAL WEAR AND TEAR. 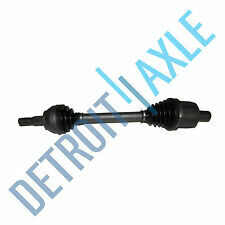 Product: CV Axle Assembly,CV Axle Shaft. 1997-2004 CHEVROLET CORVETTE. 60-1374:Rear Left,1 pcs. 60-1374:Rear Right,1 pcs. Position: Rear Left,Rear Right. After sale. Discs,Rotors. LED Lights. 05-13 Corvette C6 Base Axle Shaft CV Joint Aa6408 [[Stock #]] M2936-AE0 GM ALL USED PARTS WILL HAVE NORMAL WEAR AND TEAR. 05-13 Corvette C6 Base Axle Shaft CV Joint AA6412 [[Stock #]] M3480-AE0 GM ALL USED PARTS WILL HAVE NORMAL WEAR AND TEAR. Right side rear CV axle shaft removed from a 2016 Corvette Z06 equipped with an LT4 engine, a 7 speed manual transmission and 2k miles. Axle shows minor paint chips (see photos for detail). Item is an OEM used part in good condition and is covered by our 30 day parts exchange guarantee. Notes: OEM used part Good condition RH rear axle shaft 2015-2018 Corvette Stingray, Z06 (manual) 2017-2018 Corvette Grand Sport (manual) Part# 23301163 *Minor paint chips* Shipping will run $25 to anywhere in the lower 48 states only. No bids outside this area, please. Auto Works Inc. Madison, WI Stock: 4112. 97-04 Corvette C5 Rear Drive Axle Cv Joint Aa6406 mmm [[Stock #]] M3620-AE0 GM ALL USED PARTS WILL HAVE NORMAL WEAR AND TEAR.